The Burren Way trail warden project was the worthy winner of the Greenlife Fund 2016. 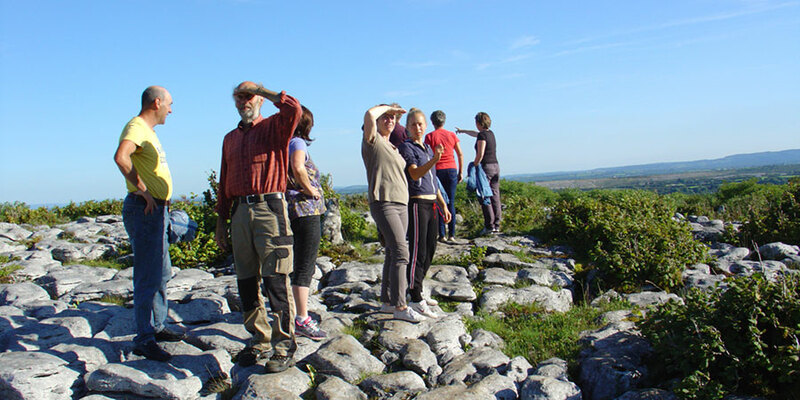 The project was designed to educate and train wardens to help maintain and manage the fantastic Burren Way trail in County Clare, South West Ireland. The long-distance Burren Way takes hikers from the village of Lahinch and across the Burren, passing the spectacular Cliffs of Moher. The Cliffs of Moher coastal path is the most visited hiking trail in Ireland. The Greenlife Fund 2016 supported the Burren Way trail warden project, devised by Clare Rural Recreation Officer Eoin Hogan. “Our goal is to set up a team of six trained trail wardens that can regularly patrol the trail and report back on any issues so we can make sure the trail is maintained to the highest standards for all walkers to enjoy,” says Hogan.